Want a fun and friendly Team building day? Whether you are a vehicle franchise rewarding loyal customers or a company rewarding loyal staff members. Join us for a mixture of Fuel, Fun & Food. 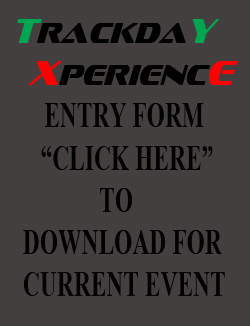 Trackday Xperience will allow you to learn more about advanced driving techniques, your car and yourself. We strive to give you the experience and thrill of being able to drive your own car on a racetrack in a safe and controlled environment. The purpose of the event is for drivers to gain experience with their vehicles and advance their driving skills. The day is a mixture of food, social interaction and adrenaline packed action. We cater for all levels of drivers; from novices to experienced racing campaigners seeking to fine tune their skills and gain that competitive edge. With Trackday Xperience you have the ability to go at your own pace and enjoy maximum track time to improve your driving skills. Participants can also request one on one tuition from our team of experienced instructors who will provide you with a personalised program tailored to your skill level. These events are by prior registration only. Join our free membership today and be part of this exciting group. All participants and spectators arrive at the Track. Help yourself to morning tea – muffins, coffee, tea, or juice. All drivers, passengers and spectators to sign indemnity forms. Open Track for experienced drivers. Briefing and instruction for novices and first time participants. Track Orientation for Novices & First Time Participants. Instructors Take You on Circuit in Our Vehicles, Then in Your Own Vehicles. Combined Session All Drivers With or Without Instructors.